It is Oscar season again and, as ever, the Irish are clinging to some claim concerning the event. Unlike most years, though, it is not some outside chance at one of the minor Oscars that rarely make the broadcast the next day. No, this year we are backing an odds-on favourite: Daniel Day-Lewis is on track to win his third Oscar for Lincoln and we couldn’t be prouder. How did the son of an English Poet Laureate become Ireland’s most successful and acclaimed actor? Born on 29th of April to the Anglo-Irish poet Cecil Day-Lewis and actress Jill Balcon in London, he grew up in the rough and tumble of South London with his older sister Tamasin (later to become a noted documentary film-maker). After leaving school he originally was interested in becoming a carpenter but was not accepted into any apprenticeships. He fell back on acting and his training in presentational acting began at the renowned Bristol Old Vic Theatre though he would become more renowned for his adoption of method acting. Under the tutelage of such people as Pete Postlethwaite, Day-Lewis was able to obtain some choice roles in films such as the Oscar nominated Gandhi, A Room with a View and My Beautiful Laundrette. He first got acclaim in a leading role though for The Unbearable Lightness of Being in which he played a doctor involved in a bohemian love triangle during the Soviet invasion of Czechoslovakia. To prepare for the role he learned Czech for 8 months and started to refuse to break character during the shoot – possibly the beginning of his famously eccentric method acting style. The role that brought him to mainstream attention, though, was as the cerebral palsy-afflicted writer Christy Brown in My Left Foot. This involved an extreme dedication to his craft as he insisted that the crew push him around the set in a wheel chair so that he could feel what it was like to be disabled in such a way. Apparently he was so deep into the role he suffered broken ribs and other physical traumas stemming from his reluctance to ‘leave’ Christy behind after the camera had stopped rolling. He was attracted to the role after a particularly long dry spell in acting in which he had to take a job as a caretaker of an apartment block. This bought Day-Lewis back to Ireland, the country from which his father was from, and his association with since then has not stopped as he now has dual Irish and English citizenship. All his hard work paid off though, as he won the Academy Award for Best Actor while Brenda Fricker won the Best Supporting Actress gong for the same film which rounded off a successful night for the Irish. The Last of the Mohicans was an easier experience but altogether as rigorous. He learned how to hunt and skin animals as well as going through extensive weight training. It again proved to be worth all the effort as it made Day-Lewis a bona fide box office sensation. During the ’90s he again took the time to go back to his Irish roots by taking roles in The Boxer and In the Name of the Father. Again, the common theme of his critical success being linked to his method preparation revealed itself in both these Jim Sheridan films. For the former he learned to box with former World Champion Barry McGuigan and in the latter he had crew members throw cold water over him and shout abuse at him while confined to cell. He earned his second nomination for an Oscar starring in In the Name of the Father. After a frantic ’90s, Day-Lewis went off the grid and avoided the lime light of Hollywood. Rumour was that he went on to become an apprentice shoe maker in Italy during this time. However he refuses to speak of this time in his life as he is known as an intensely private man. He came roaring back with his Oscar nominated performance as mob boss Bill ‘The Butcher’ Cutting in Gangs of New York. This led to possibly his most acclaimed role as Daniel Plainview in There Will Be Blood. Day-Lewis won over 30 awards for playing the maniacal oil tycoon in late 19th century California. I guess this brings us up until the present where Wicklow’s own son (he splits his time between his home there and New York) will be up against tough competition in this year’s 85th Academy Awards. 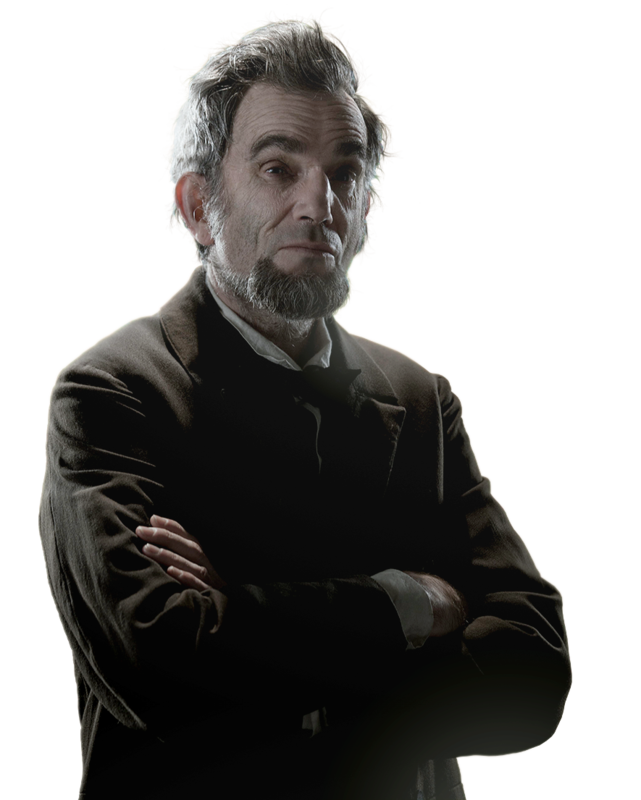 He plays the eponymous Lincoln which required Day-Lewis to fashion himself into the sickly and frail frame of the 16th President of the United States. In this performance, he treads the line of a man who tries to maintain complete control of himself while circumstance seems to take all control of his environment out of his hands. He also convincingly manages to make the character a man for every situation, while in the background we see his home life slowly fall apart. All in all, it is a masterful performance from a true artisan in his craft. Here’s to another Oscar for our man Daniel! Dan Ewing: “A lot of actors are quiet people and it can be a bit full on but it’s great for me”.